By traveling abroad in high school, scholars have the opportunity to see the world and, in turn, be better prepared to change it. Many DPPS Global Citizen Program alumni describe their experience as “transformational.” They gain new maturity and independence, and develop a better understanding of what they are passionate about and what some of their long-term goals may be. They also share that they feel better prepared for the college application and interview process. There are practical benefits to going abroad in high school as well; such as improving foreign language ability, developing critical intercultural communication skills, and forming lifelong connections that span the globe and often last a lifetime. 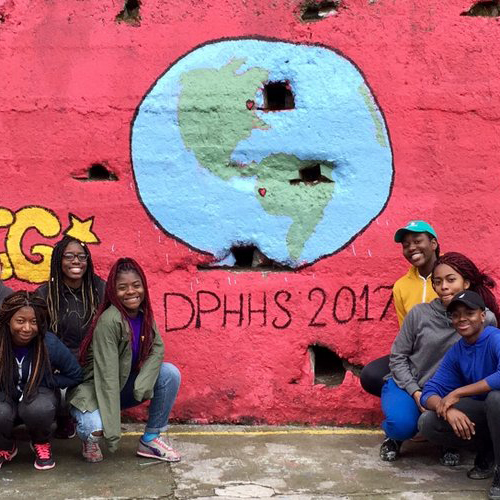 If your scholar is considering applying or has been selected to travel on a Democracy Prep international high school trip, you’ll find some helpful resources below. All travelers must have a signed passport that is valid for at least six months after the last day of the trip. The passport validity requirement varies for different countries. By ensuring that your passport is valid for at least six months, you can be confident that an approaching expiration date will not present any issues while you are traveling. If necessary, apply for a new passport or renew your passport as soon as possible. For U.S. citizens, a list of steps that must to be taken in order to apply for or renew a passport can be found here. Some applicants may qualify to apply online via the US Dept. of State’s Passport page which also lists current processing times. Democracy Prep does not cover any costs associated with acquiring a new or renewed passport. Non-U.S. citizens may apply for or renew a passport through their consulate or embassy. Travelers without a U.S. passport may be subject to additional or different requirements for obtaining a visa or meeting other conditions of entry into the destination country or countries. Many countries require individuals to apply for visas in advance and in person at the relevant embassy or consulate. Democracy Prep’s Global Citizens Program team will support school based staff in helping scholars and families navigate the visa application process. In order for the Global Citizens Program team to help, please notify your trip leader as early as possible if you hold a non-U.S. passport. Individual scholar citizenship information will not be retained by the Global Citizens Program team and will be limited to those with a need to know. Scholars and families will receive a detailed packing list during the mandatory pre-departure meeting held several weeks before the trip. Some essential items that all travelers will need are their passport and, where applicable, other relevant travel documentation (permanent residency card, visa, etc. ), prescription medication (in originally issued container), toiletries, comfortable walking shoes, proper clothing and outerwear for the destination’s weather and activities planned, assigned homework and/or break packets, books, insect repellant, sunblock, etc. If recommended by relevant CDC travel notices, scholars should pack appropriate items to avoid mosquito bites and prevent the diseases that are spread by them. All essential trip related costs including airfare, transportation, accommodations, meals, activities and entrance fees are included. A scholar may travel with no additional spending money and be fine for the duration of the trip. Therefore, scholars need only bring spending money for the optional purchase of souvenirs, snacks, etc. Because it is often difficult for minors to exchange currency in other countries, if you do choose to bring spending money, we recommend converting money into your destination’s currency prior to the trip (not necessary for Ecuador as they utilize the US dollar). This can be done at your bank, a credit union or an international currency exchange location. Scholars will be responsible for the safekeeping of any spending money or valuables that they bring with them on their trip. Most scholars spend between $20-$50 per trip and we recommend not traveling with more than $100 at any time, under any circumstance. Democracy Prep’s traveler insurance does not provide coverage for the loss or theft of money or valuables. The health and safety of Democracy Prep scholars and chaperones is our single most important consideration. All travelers are covered by international travel and medical insurance for the duration of their time abroad. In addition, all trip participants are enrolled in the State Department’s STEP program through which they can receive security messages and more easily be located in the event of an emergency. While groups are traveling, Democracy Prep’s Global Citizens Program team is available 24 hours a day to provide emergency support to both travelers and school-based staff. Countries that Democracy Prep visits may have a travel advisory issued by the U.S. State Department, that describes a heightened risk of travel in that area. Travel advisories may change to a more urgent status with little or no notice. U.S. State Department travel advisory status or other safety concerns may result in Democracy Prep suspending programs and travel in the affected countries, and chaperones and scholars may be required to return to the U.S. or relocate to a safer location. 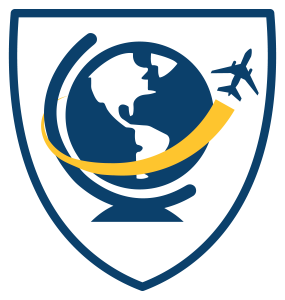 Democracy Prep encourages families to review the State Department’s International Travel website for country specific information on their scholar’s destination prior to and during the trip (see country specific links below). Scholars and family members with a Facebook account may opt to like or follow the “U.S. Department of State: Consular Affairs” page which posts security messages from all U.S. embassies abroad. You can select to see these notifications first in your newsfeed.